One of my most popular posts last year was 8 Writing-Themed Halloween Costumes. So after some brain-storming I’ve come up with 8 more for this Halloween. 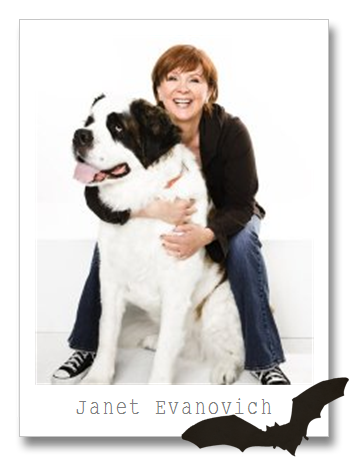 If I was going to a Halloween party as a writer, Janet Evanovich would be my first choice. I love her Stephanie Plum novels and re-read all 18 over the summer. A cute, short red wig, a black motorcycle jacket and black Converse sneakers make an easy Janet ‘costume’. Another writer I adore, isn’t really a writer at all, she only played one on TV – Angela Lansbury as Jessica Fletcher from Murder She Wrote. 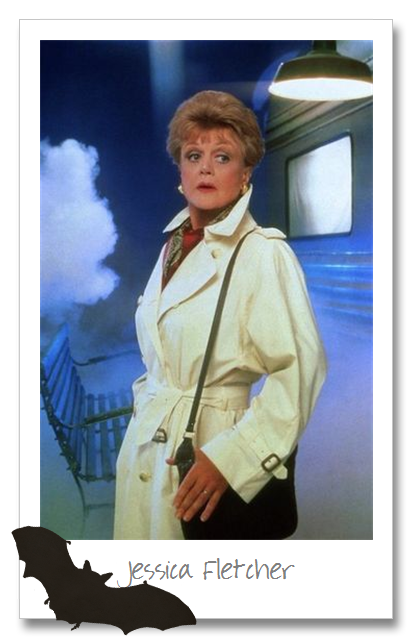 Going to a party as Jessica Fletcher requires a classic trench coat, a silk scarf and an all-purpose pocketbook. For this next idea, I’d use a plain white sheet, but not to make a ghost costume; I’d use it to make a blank sheet of paper. Or instead of going as a blank sheet of paper, I could write my favorite excerpt from my novel on the sheet and go as my own manuscript. The simplest costume I came up with this year is ‘blogger‘. I’d wear whatever I wanted and just add my laptop bag. And my final costume idea comes with the following disclaimer – I’ve never read this book! – 50 Shades of Grey. My costume for this book involves three shades of grey eye shadow, three shades of grey nail polish, grey hair extensions, grey layered clothing and a grey scarf. I’m sure this doesn’t do justice to what the book is actually about, but it’s a symbolic costume and what’s more writerly than symbolism? This entry was posted in Free Play, Writing by Brianna. Bookmark the permalink.